When I decided to write a blog describing home staging, I thought it would be easy peesy…not so. Honestly, we are truly a diverse breed each bringing unique skills and strengths to the table. Some do vacant staging, others do lived-in (occupied), some only do consultations, and some do a mix of all the above. I consider myself a consultation geek because I love personal interactions. Following is my attempt to provide clarity to typical staging terminology and pricing. Let’s dive in! Consultations:Home stagers generally begin with a two hour in-home consultation. The consultation fee in my area starts around $180. The variables determining the price are based on the size of the home, geography, and if there are extra services such as color consultations or written action plans. Some sellers are DIY’ers and opt to stage on their own based on our action plan. Some sellers knock it out of the park and others don’t get past first base. We certainly respect the DIY decision…albeit, our fingers and toes are crossed the first time we view the online photos. Did they paint the purple bedroom? Is the dog cage hidden? Did they remove their Hummel collection? Most importantly, did our recommendations turn out the way we envisioned? Occupied StagingSeventy percent of the time, home owners remain in the home until it sells so occupied stagers work with existing items. In a perfect scenario, the owner’s furniture and accessories are visually appealing BUT this is the real world. There are instances when we need to pull a rabbit out of our hat to make Aunt Sally’s ginormous hand-me-down sofa present well in photographs. 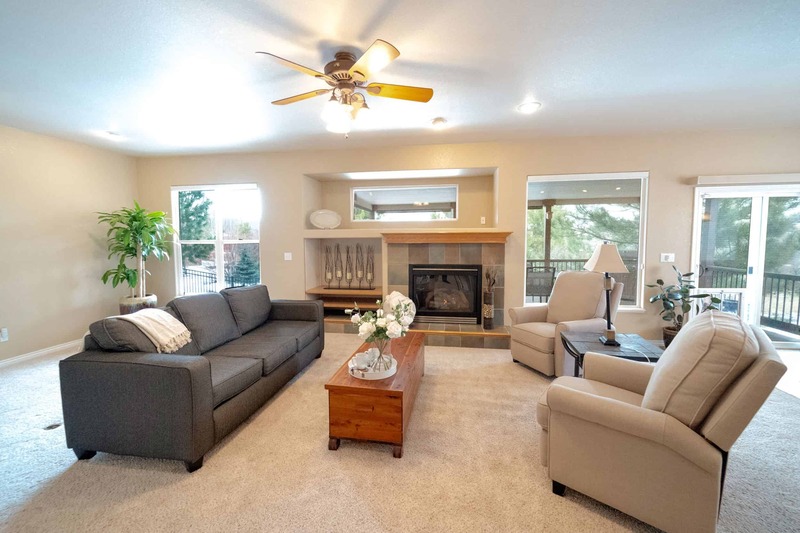 Occupied staging is a cost effective option for sellers who may not have the funds or desire to empty their homes to bring in rental furniture. Will it be perfect, no…but a staged home is still more likely to bring a larger return compared to an unstaged home. Stagers may suggest purchasing new throws, pillows, towels and other tasteful accessories to complete rooms. Y’all need new towels anyway…right? The fees associated with occupied staging are generally by the hour or the project. In my area, the hourly rate is currently around $75-$90. Vacant Staging of empty homes: This is the process of bringing furniture and accessories to empty or near empty homes. Stagers either own or rent their pieces. The variables associated with vacants are plentiful. I’ve tried to summarize the average prices based on input from several of my staging peers. Vacant staging generally runs $400-$800 per room. The price is based on the size of the home, geography, and furniture pieces. For a quick estimate, sellers should plan on paying roughly 1-3 percent of the listing price to stage a vacant home. The rooms that are most often staged are the family, kitchen, and master. Often, the cost of the hands-on staging service itself is packaged into the initial fee but once the home has been properly staged, the price may be adjusted to only include furniture rental. So there you have it. You are now you in the know. Although we are a unique breed, stagers share the same bottom line which is to help you sell your home quickly and for top dollar. If you are selling a home, contact me so we can get started today! According to a 2018 HSR survey, 85% of the homes sold for 6-25% more than unstaged homes.